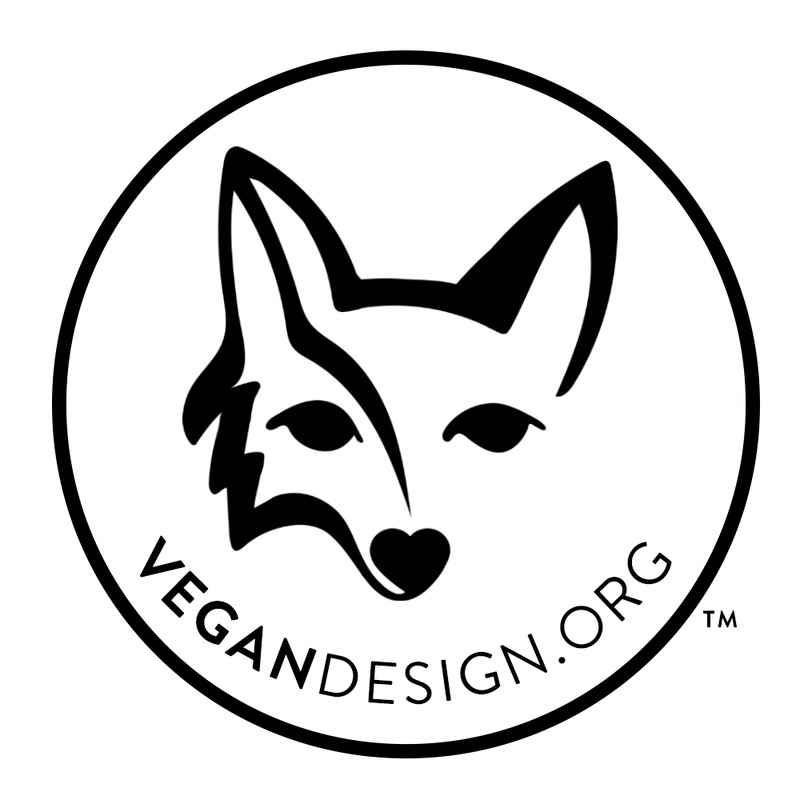 The “VeganDesign.org” trademark may be used on all company literature, ads, in store use, displays, websites and social media. VeganDesign.org artwork is provided in a .gif, .tif, .jpeg or .png format. The trademark must appear exactly as original design without any changes. The trademark design must remain in proportion and not distorted, retain all artwork and all words. The appearance must be the same. The trademark can be used in any color as long as they are visible. Without written permission and approval, no other website, publication, domain, service, product or the like may use the trademark VeganDesign.org. The trademark may not be duplicated or imitated by another company for design. The VeganDesign.org trademark is the property of DiMare Design LLC and may be revoked for non-payment of membership fee, failure to conform to the VeganDesign.org agreement and misuse of the logos trademark. If, for any reason, the trademark are used mistakenly on uncertified products and/or companies, VeganDesign.org must be immediately notified by the company. The incorrect labels must be removed and if labels are in the marketplace, the company must post the error on all marketing material, websites and ads. VeganDesign.org has the discretion to adjust the fee to use the trademark for companies with gross revenues over 1 million USD. Misuse of the trademark layout and design. Not conforming to the agreement. VeganDesign.org reserves the right to penalize a company violating the agreement by misuse of the trademarks and/or providing false or misleading information about their products. Contact us if your company is interested in registering the VeganDesign.org trademark for one or multiple products. The trademarked badge will be permitted to be displayed on packaging only if they are approved by VeganDesign.org. Inquiries should be sent to hello@vegandesign.org.